It seems that another celebrity couple could be close to a divorce. According to the latest rumors, George and Amal Clooney are dealing with some serious problems and are actually already living separately. 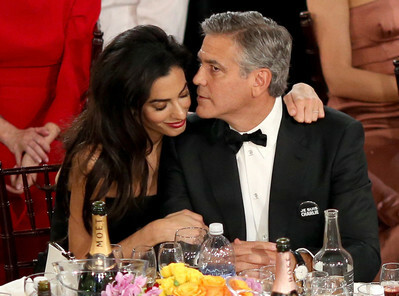 Apparently, the reason why Amal and George are dealing with problems is actually linked to the fact that Amal was ready to have a child, while George was not feeling that it was the right moment. So, the news was reported by OK! Magazine, which indicated that Amal and George Clooney have actually been “living separate lives” for a while now. Allegedly, the two are constantly arguing about everything, from their living arrangements to their future plans. And this appears to have become so bad that the two cannot stay together any longer. The new report revealed that the main reason which has led to the split is actually the fact that Amal is ready to become a mother, but George does not feel that it is the right time for him to welcome a baby. Allegedly, the arguments over their future plans were strong enough to warrant a separation. An insider talking to OK claimed that George and Amal still love each other, but they are no longer desiring the same things. The insider said that Clooney was actually feeling a lot of pressure to have a child. Although the actor initially agreed to the idea of having a baby, he then changed his mind and backed away from this decision. Of course, Amal was very upset with this. The report has not been confirmed yet, but it has been claimed that if the pair will really divorce, the separation could turn out to be an ugly battle considering the impressive fortune that the two will have to divide.